LOS ANGELES (Jan. 30, 2018) — Hillsong Worship won its first GRAMMY® Award for Best Contemporary Christian Music Performance/Song for their genre-smashing single, “What A Beautiful Name” that continues to be the fastest growing song in modern church history (112 million views on YouTube). The category, created in 2015, recognizes both songwriters and performers. “What A Beautiful Name,” recorded in 2016, was written by the worship collective‘s Brooke Ligertwood (formerly Brooke Fraser) and Ben Fielding who represented the group in accepting the award, which was among those handed out on-stage during the 60th Annual GRAMMY Awards at Madison Square Garden in New York on Sunday, Jan. 28, 2018. The song won out over competing selections from Casting Crowns, Natalie Grant, and MercyMe. “We are so thrilled that a song about the Name who is most dear to us was honored with a GRAMMY award this year!,” Ligertwood, who accepted the award with Fielding on stage inside Madison Square Garden, New York, ahead of the main ceremony, said. “No matter how far or close you feel to God or no matter how great the distance His love is greater, His name is more powerful, more wonderful, more beautiful than any other,” Fielding said. “With a 25+ year legacy of writing and recording songs for believers everywhere, we recognize that we are walking on a path foraged by the dedicated and devoted songwriters and worship leaders building our team, church and this legacy before us, which began with our pastors Brian and Bobbie Houston, and their fearless commitment to the new song and the next generation,” Ligertwood added. With unprecedented record sales and numerous award accolades, Hillsong Worship continues to impact millions worldwide with its chart-topping catalog of songs. Their recent GRAMMY Award win accompanies a host of other honors bestowed this past year including being named Billboard’s Top Christian Artist of 2017 as well as its Top Christian Duo/Group. With a catalog sung by an estimated 50 million people worldwide each week, Hillsong Worship is passionate about equipping and mobilizing believers everywhere with Christ-centered songs of God-glorifying worship for the building of the Church. For almost three decades, Hillsong Worship has served people across nations and generations, travelling the world leading diverse expressions of the Church in the worship of Jesus. By God’s grace its “local church” worship songs such as “Shout To The Lord,” “Mighty To Save,” “Hosanna,” “Cornerstone,” “Forever Reign,” “Broken Vessels” and “This I Believe (The Creed)” have become the songs of churches all over the globe, in addition to finding a place in the personal devotion of individual believers everywhere. Their latest projects, “Let There Be Light,” “What A Beautiful Name EP,” and “Christmas: The Peace Project” are available now. There Is More Tour Features Hillsong Worship & Pastor Brian Houston! Spring Tour Brings a Unique Experience to 14 U.S. Cities this April! Nashville, TN (Jan. 30, 2018) – Join Pastor Brian Houston and members of the GRAMMY® Award-winning Hillsong Worship team on their upcoming spring tour – There Is More Tour. Houston and members of Hillsong Worship from Australia will embark on a 14-city spring tour this April across the south-eastern United States. 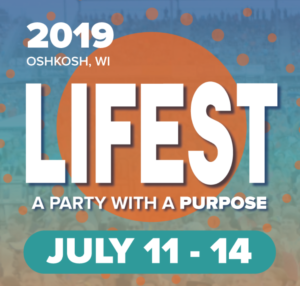 They are bringing a message of God’s lavish love and endless possibilities to megachurches, arenas and venues from Texas to Minneapolis and Dallas to DC. “Hillsong Worship comes out of the heart of our church – Hillsong – and the heartbeat of that culture has been pioneered and shaped by our senior pastors, Brian and Bobbie Houston,” said Hillsong Worship member Brooke Ligertwood, who along with Ben Fielding wrote the song “What A Beautiful Name.” The song recently won Contemporary Christian Song of the Year at the 60th Annual Grammy® Awards. Houston’s infectious love for people and his empowering brand of leadership is beamed to millions of people weekly through his program, Brian Houston @ Hillsong Television, and draws tens of thousands annually to Hillsong Conference events in Sydney, London and New York City. He is also the President of Hillsong International Leadership College and the Executive Producer of countless gold and platinum albums that have come from the Hillsong Worship team. His latest book will be available for purchase everywhere on March 20. It is also available for pre-order through online retailers listed at https://brianchouston.com/there-is-more/. Each ticket purchased for the There is More Tour includes entry to the event and a copy of Brian Houston’s latest book. Tickets are on sale now. For more details go to https://hillsong.com/tours/ . *Brian Houston will not appear at Canton, OH; Lynchburg, VA; or Reading, PA. Hillsong Worship team members may vary by city. Dove Award-nominated singer, songwriter and worship leader Todd Agnew will wrap up a series of weekly ruminations today, Wednesday, January 31, 2018, as Praise.com’s guest artist blogger for the month of January. Designed to give Christian artists a chance to come together in one place to speak directly to fans and believers about faith, music, and living for God in our everyday lives, the Praise.com Artist Blog posts each Wednesday. Fans will be able to check out Agnew’s final blog post today, as well as his previous blog posts from January 3, 10, 17 and 24, 2018. Launched in 2012 to offer Christian music fans access to the best in praise and worship music, Praise.com has been relaunched to move beyond the music to speak to every aspect of life and how faith in Jesus Christ transforms lives, through its all-new, free Christian radio station, daily devotions, Christian blogs, and Bible-based life advice. To read Todd Agnew’s posts on Praise.com’s Artist Blog, visit Praise.com. For more information about Agnew, visit toddagnew.com. A steady buzz has been surrounding Agnew’s new project, From Grace to Glory: The Music of Todd Agnew, since the release of the first single, “Glory to Our Great Redeemer.” Called a “spine tingling new hymn” by UK publication CrossRhythms, the single has gained traction at Christian Soft A/C and INSP radio formats, showing up as one of the Most Added songs on Billboard’s Christian Soft A/C chart, and landing in the Top Ten on both the Christian Music Weekly’s (CMW) Worship and INSP charts. Another song from the new project, “When Love Comes to Town” (Agnew’s U2 cover from the benefit album, In the Name of Love: Artists United for Africa) landed in the Top Five on the CMW Christian Country Chart. For all radio inquiries, contact James Riley at Shamrock Media Group at james@rocktheshamrock.com or 615-945-5604. From Grace to Glory is a musical chronicle of singer/songwriter and worship leader Todd Agnew’s journey of faith and ministry. It is a time capsule of moments, both profoundly intimate and exuberantly bold, that captures the essence of walking out the gospel hand-in-hand with friends and family, through good times and hard times. It is the journal of one man’s transformation from a young singer/songwriter to troubadour theologian. Along the way, Agnew has emerged as a seasoned scholar and mentor in the fields of worship theology and worship leadership. Adding “college professor” to his list of titles, Agnew joined the faculty of Visible Music College’s Dallas campus in 2015 and was recently tapped by Dallas Theological Seminary as a guest lecturer for its 2017 Shaped by the Future conference. He is increasingly sought after as a guest speaker at churches and conferences across the country. Along with the new material, the prolific singer/songwriter layers into From Grace to Glory a collection of some of his most cherished songs which are not part of his Ardent Records discography, most of which have not been previously released. He includes “Beautiful,” the original version of a song written by Mercy Me’s Nathan Cochran, which Agnew rewrote and originally recorded in 2005 as “Unchanging One” during the Reflection of Something sessions. He pulled another unreleased track from the vault, and invited talented Visible Music College student Trulah Maloy to join him for a duet, making “His Eye Is On the Sparrow” a truly special addition to an already exceptional project. * “When Love Comes to Town” (U2 Cover from the benefit album, In the Name of Love: Artists United for Africa). Finally, the cornerstones of From Grace to Glory are four immensely popular songs from Agnew’s first two records. “Grace Like Rain” and “This Fragile Breath (The Thunder Song)” from his debut project, Grace Like Rain, both hit Number 1 at Christian radio. Agnew was honored with Dove Award nominations for New Artist of the Year, Best Rock/Contemporary Album of the Year and Best Rock Contemporary Song for “This Fragile Breath (The Thunder Song).” “In The Middle of Me” and “My Jesus,” both from Agnew’s sophomore project, Reflection of Something, also garnered significant radio airplay. * “Our Great God” (written by Fernando Ortega and Mac Powell, featuring a duet with Grammy winner Rebecca St. James). 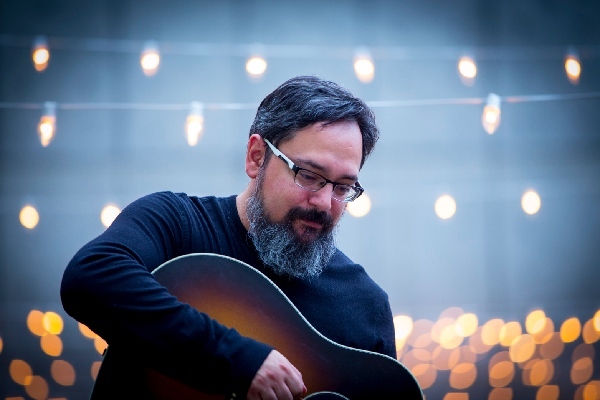 Todd Agnew exploded onto the contemporary Christian music scene in 2003 with a pair of Number 1 radio hits, “This Fragile Breath (The Thunder Song)” and “Grace Like Rain,” the title track of his debut Ardent Records album. Ironically, Agnew never set out to be a national recording artist. He just wanted to record a custom project for the camps and conferences where he was a frequent minister. been a faculty member of Visible Music College’s Dallas campus, teaching worship theology and worship leadership. He was recently tapped by Dallas Theological Seminary as a guest lecturer for its 2017 Shaped by the Future conference. 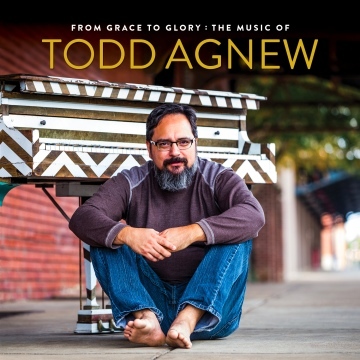 Agnew’s newest CD, From Grace to Glory: The Music of Todd Agnew, released May 26, 2017 from Ardent Records and Provident/Sony Music Distribution. For more information about Agnew and From Grace to Glory: The Music of Todd Agnew, visit toddagnew.com. Praise.com is a faith-based lifestyle website dedicated to inspiring a community of believers to pursue and reflect God in everyday life. Since 2012, it’s been offering Christian music fans access to the best in contemporary praise and worship via its online radio station, in-depth interviews, and uplifting music videos. Now, Praise.com is going beyond the music (with its recently redesigned website and dynamic new app). Speaking to every aspect of life and how faith in Jesus Christ transforms, Praise.com encourages followers to live a life of praise through its all-new, free Christian radio station, daily devotions, Bible-based blogs and life advice. Praise.com has an active community on social media that’s nearly 500,000 strong and growing. For more info, visit Praise.com. Nashville, TN (Jan. 30, 2018) – Irish band Rend Collective released their latest album on Friday, Jan. 19 to critical acclaim. The widely praised Good News saw Rend Collective at the top of the charts, earning the No. 1 spot on Billboard’s Christian & Gospel Chart, and No. 5 spot on Billboard’s Digital Albums Chart, hitting within the Top 20 on Billboard’s Top Albums Chart. Also claiming No. 1 on UK’s Official Christian & Gospel Albums Chart with over 1.6 million streams since its release, the 15-track album includes Rend Collective’s hit single, “Rescuer (Good News),” which has already hit Top 10 on both AC Indicator and National Audience chart, and has been added by major stations including K-LOVE, Air1, WAY-FM, KSBJ and more. Reaching an audience of over 2.8M weekly listeners, the song’s official music video already has over 3M views of YouTube. Correlating with the release of their album, Rend Collective unveiled a live performance video of their song “Rescuer (Good News)” to YouTube as a part of their Good News Sessions. The video, filmed in a church in Nashville, TN, highlights the band’s upbeat and organic worship style. Continuing their world tour, Rend Collective is gearing up to kick off the next leg of their “Good News Tour.” Having already sold-out major markets including Bath, Liverpool and Southampton, the band will hit 19 cities throughout the UK beginning this Thursday in Stoke before continuing on to the U.S., hitting 51 cities total from Feb. 1 through the end of May. For the latest tour schedule, visit https://rendcollective.com. Nashville, TN (Jan. 30th, 2018) – Full Circle Music Show is celebrating it’s 100th episode and announcing plans to relaunch under the new name Made It In Music Podcast on Mar. 26, 2018. Featuring top songwriters, artists and music industry professionals, the Made It In Music Podcast will give listeners the tools and insight to aid in pursuing a full-time career in music. 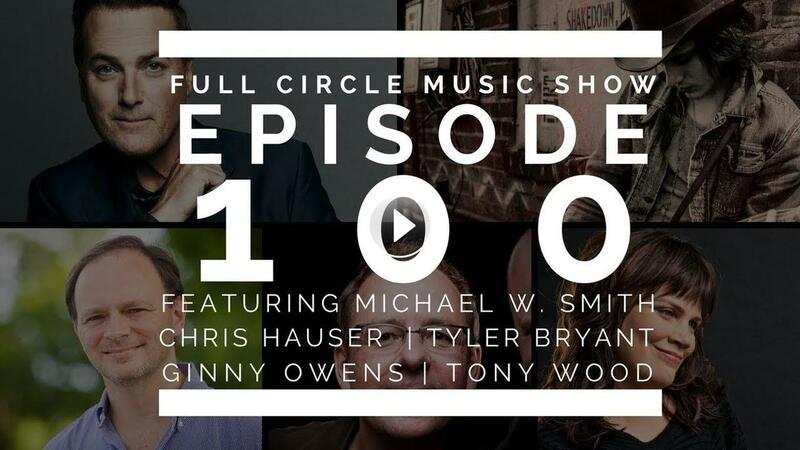 For its 100th episode, Full Circle Music Show released a “Best Of” episode where Full Circle Music Staff reflected on favorite moments from the podcast including past interviews with Michael W. Smith, Ginny Owens, and more. Listeners can access all previous podcast episodes by visiting Full Circle Music’s official YouTube Page. This will also be the home of all future Made It In Music Podcast episodes. While the original Full Circle Music Show focused on Christian music, the Made It In Music Podcast will cover all genres within the music business, with upcoming episodes featuring some of the biggest names in the industry including multi-platinum rockers Skillet and artist/hit songwriter Dave Barnes, with multiple No. 1s to his name including “Craving You” (Thomas Rhett) and “God Gave Me You” (Blake Shelton). *For booking inquiries about Made It In Music Podcast, please email support@fullcirclemusic.com. The GRAMMY® winning & Billboard Producer of the Year Seth Mosley stands as the mastermind behind some of the biggest hits in the CCM industry, helming No. 1 singles from for KING & COUNTRY (“Fix My Eyes”), Francesca Battistelli (“He Knows My Name”), Jeremy Camp (“He Knows”) and more in one year alone. Altogether, Mosley’s full-service production company, Full Circle Music, has contributed to over 20 No. 1 chart-topping songs and worked with artists, both signed and independent, including Skillet, Mat Kearney, TobyMac, Jon Foreman (Switchfoot), Newsboys and country acts like High Valley, Ricky Skaggs and more. The team writes and produces an average of 150 songs each year in their Franklin, Tenn.-based studio. Mosley and group unveiled the music production school Full Circle Music Academy, FCM Records and Songs for FCM Publishing with Dove Award winning Matt Hammitt as their first songwriter, followed by the signing of Riley Friesen. Focusing on crafting music for the future, Mosley is the curator of the Made It In Music Podcast which sits down with industry icons. Lauren Budnick and Brooke DeLeary of the faith-forward pop duo LOVECOLLIDE declare “I Don’t Want It” with the lead single from their third full-length album, Tired Of Basic, which independently releases April 13 on ABS Entertainment, LLC with global distribution for the first time through The Fuel Music. Available now as a digital single at iTunes / Apple Music, Amazon.com, Spotify Google Play and more retail and streaming outlets internationally, “I Don’t Want It” also goes for radio ads beginning today. Already in rotation at radio outlets like NGEN (Houston, TX), The Z (Spartanburg, SC) and KMOQ (Joplin, MO), “I Don’t Want It” is also featured on multiple Spotify playlists with hundreds-of-thousands of collective followers, including Pop For Life, Party Anthem 2018, American Top 40 Charts, Reputation – Taylor Swift, Girl Power Run and many others. “I Don’t Want It” is receiving additional plays as the song becomes the first music video from Tired Of Basic. The video premiered at NewReleaseToday.com yesterday and can be seen now at https://youtu.be/rVEBA0PK2eg. For all the latest LOVECOLLIDE news, tour dates, pictures from Lauren and Adam Budnick’s wedding this month, and more, go to: www.lovecollide.com, Facebook, Twitter, Google+, Pinterest and YouTube. Having started a band together when they were just tweens, Nashville-based LOVECOLLIDE siblings Brooke and Lauren share a passion for revival and extraordinary, bold living for Jesus. The duo first hit the Billboard charts in 2016 with the song “Mother of the Son of God” and have garnered two top-20 album nods (2014, 2016) from NewReleaseToday.com. The girls were featured in the hit movie God’s Not Dead 2 leading the song “How Great Thou Art” and in Hayley Orrantia’s music video “Strong, Sweet and Southern” while Lauren was in a Nashville TV series film trailer. Together they have also shared stages with Natalie Grant, Sidewalk Prophets, Unspoken and others. Touring nationally with Lauren and Brooke co-leading vocals, guitar and bass and with Adam on drums, LOVECOLLIDE has brought their vertical driven concerts to such diverse venues as college campuses, churches, schools, retreats, conferences, camps and major Christian festivals. They have also toured throughout Canada, something that’s particularly meaningful for the girls as tribal members of the Chippewas of the Thames First Nation in Muncey, Ontario. Nashville, Tenn. (Jan. 23, 2018) – Skillet and for KING & COUNTRY unveiled that they will join forces for “joy.UNLEASHED | The Tour” stopping in over a dozen markets from mid-April through early May. The unprecedented double-headliner line-up will visit San Antonio, Cedar Rapids, Huntsville, Orlando, Miami and more. “joy.UNLEASHED | The Tour” marks the second time these two critically-acclaimed, top-selling acts share the stage for an incredibly theatrical, high energy and laser/pyro-filled show. Giving listeners the first chance to access tickets, a Spotify pre-sale will begin at noon central today, Jan. 23, followed by tomorrow’s Ticketmaster pre-sale at noon CST. 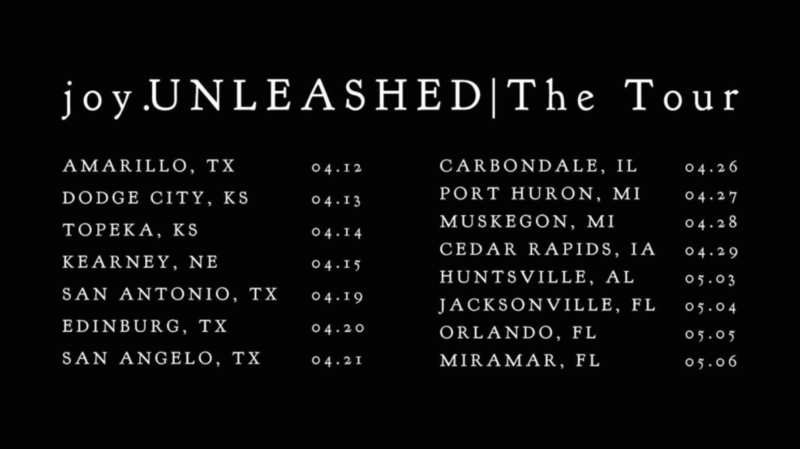 “joy.UNLEASHED | The Tour” public sale will be unveiled on Friday, Jan. 26 at 10 a.m. local time. VIP tickets include early entry with a crowd-free merch shopping experience and a pre-show Q&A with Skillet and for KING & COUNTRY. Skillet released Unleashed Beyond late last year, a deluxe edition of their chart-topping album which included the RIAA Gold Certified Single “Feel Invincible” and coincided with the double platinum certification of Awake. Following the celebration around their RIAA Certified Gold Album RUN WILD. LIVE FREE. LOVE STRONG., for KING & COUNTRY is now working on their anticipated third full-length, original album set to release in 2018. Skillet has cemented their place as one of the 21st century’s most successful rock bands. Selling more than 12 million units worldwide, the Wisconsin quartet have received two GRAMMY® Award nominations and won a Billboard Music Award for the double-platinum certified Awake. Their double-platinum single “Monster” currently has over 118 million plays (and counting) on Spotify, earning the distinction of becoming “the best-selling digital single in the history of Christian Music” and continuous mainstay on Billboard’s Year End Chart. 2013’s Rise bowed at #4 on the Billboard Top 200 upon release and received resounding and eclectic acclaim from the likes of USA Today, New York Times, Revolver, Loudwire and more. Their latest album, Unleashed, debuted at #3 on the Billboard 200 and topped Billboard’s Top Christian albums chart. The first single “Feel Invincible” went to #1 on the Rock Radio chart, and earned RIAA Gold Certification. The track “Stars” was featured in the soundtrack for the motion picture The Shack, released last March. Stemming from Unleashed, Skillet was nominated for 3 additional Billboard Music Awards and their songs have been used by the WWE, Marvel, ESPN, NHL, MLB and the NFL to name a few. While steadily headlining their own tours in addition to performing with some of the biggest rock acts in the country, their live show has become a global force to be reckoned with, selling out shows in London, Moscow, St. Petersburg, Warsaw and more. Soaring melodies, driving rhythms, personal themes, and theatrical instrumentation & performances are the heartbeat of two-time Grammy Award winners, for KING & COUNTRY. The Australian duo comprised of brothers Joel & Luke Smallbone, garnered unanimous critical praise with their latest album – RUN WILD. LIVE FREE. LOVE STRONG., celebrated a RIAA Certified Gold record, #1 debut on iTunes, a headlining tour with 28 sold-out shows and a 60-date arena tour. Two singles from their debut album, Crave also achieved Gold status – their crossover hit “Fix My Eyes” and “The Proof Of Your Love.” Their music has surpassed 200,000,000 streams. In October 2016 the Smallbone brothers released the indie film, Priceless, about human trafficking. They’ve performed on Jimmy Kimmel Live! The Today Show, The Tonight Show, FOX & Friends, and have songs featured on the Emmys, The Super Bowl, Sunday Night Football, U.S. Open, 7UP, and ABC’s The Good Doctor. They are now working on their third full-length, original album set to release in 2018. Multi-Platinum, three-time Grammy® Award winning artist, best-selling author and acclaimed actor Michael W. Smith announces the first leg of his “Surrounded By A Million Lights World Tour.” Presented by Compassion International and featuring special guest Nathan Tasker, the tour launches March 8 in Rochester, MN and traverses the Eastern half of the US into 18-plus cities through mid-May before wrapping up May 5 in Lancaster, PA. While on tour, Michael will perform fan favorites from his extensive repertoire along with “A Million Lights,” “Surrounded (Fight My Battles)” and more new music from two, all new full-length albums releasing back-to-back in February from Rocketown Records and The Fuel Music: both his USA Today and Yahoo! Music-acclaimed studio album A Million Lights (Feb. 16) and the live worship album Surrounded (Feb. 23). Along with Michael’s announcement of the tour today, Billboard Magazine simultaneously highlights the upcoming events while offering its approximately 42 million unique monthly online readers a first listen to “Revolution” from the album A Million Lights at https://www.billboard.com/articles/columns/pop/8095810/michael-w-smith-new-song-revolution-spring-tour-dates. Tickets for the “Surrounded By A Million Lights World Tour” go on sale Jan. 31 in most markets along with special VIP packages featuring early entry (for general admission shows) or premium seating (for reserved shows) and a Q&A session with Michael. In many ways, Michael is a statesman, at the fulcrum of Christian music in pivotal moments. It is said that the heart of a lion never goes away, and Michael isn’t content staying with the equilibrium. At a loss for what his voice should be toward the end of 2016, this prolific artist comes roaring back with A Million Lights and Surrounded albums in a countercultural response to the divisive national sentiment of 2017 and the mean-spirited banter on social media. Michael has been releasing new music regularly and performing around the world to sold-out crowds for the last 30+ years. During his storied career, he’s written 32 No. 1 singles, been honored with three Grammy Awards and 45 Dove Awards, was inducted into the Gospel Music Hall of Fame and has sold more than 15 million albums. He’s also given back to the global community. Michael has raised funds to battle AIDS in Africa alongside longtime friend Bono; started Rocketown, a safe haven for young people in Tennessee to meet and find hope; and has helped more than 70,000 children through Compassion International. With a Grammy nomination, 26 million views on VEVO, nine No. 1 songs, seven Dove nominations and over 400,000 albums sold, Fireflight has built a fiercely devoted following across five studio albums, including: The Healing Of Harms (2006), Unbreakable (2008), For Those Who Wait (which cracked Billboard‘s Top 100 when it released in 2010), Now (the No. 1 Christian Rock Album released in 2012) and INNOVA (which sparked two No. 1 hit singles following its release in 2015). The band has also garnered numerous instrument endorsements and its music was featured in NBC’s “Bionic Woman” promos and Taco Bell’s “Feed The Beat” campaign that catapulted the band onto a performance at the Winter X Games. The band has further been featured on such record-breaking tours as Winter Jam and has performed at all the major Christian festivals.